Adam Bernard Jones was born on the 30th September 1983, in Atlanta, Georgia USA. He is an American Football player, in the role of cornerback for the Cincinnati Bengals in the NFL, but is also a former professional wrestler, fighting in the professional ring in 2007 (from August to October). Jones has been playing football professionally since 2005. How much is the net worth of Adam Jones? It has been estimated that the overall size of the sportsman’s wealth is as much as $18 million, as of the data given in mid-2016. To begin with, he was educated at Westlake High School, where he successfully played football, including participating in the Georgia-Florida All-Star game – Adam managed to show his abilities and won the Player of the Year title. In college he played football for West Virginia University, where among many college awards and highlights Adam was named the Big East Special Teams Player of the Year in 2004. Adam Jones was subsequently chosen sixth overall in the NFL Draft 2005 by the Tennessee Titans. In his rookie season he posted 44 tackles and 10 deflected passes, and gained 1,399 yards with a touchdown. In the second season he recorded his personal best of 62 tackles, a sack, a fumble forced, 12 passes deflected and four interceptions. Just before the NFL draft 2007, many problems led to speculations that Titans would like to exchange him or even release, but on the 10th April, Roger Goodell the commissioner of the NFL suspended Jones for a year because of violating the league policies in several off-field altercations. In 2008, when returning from suspension the Titans exchanged Jones with the Dallas Cowboys, but Jones immediately incurred another suspension for new trouble off the field. In the summer of 2009, Jones signed a one year contract with the Winnipeg Blue Bombers of the Canadian Football League, then in the spring of 2010, Jones signed a two year contract with the Cincinnati Bengals, managing not to run into legal trouble for the entire summer, but in October, he suffered a neck injury that kept him out of the game for the rest of the season, returning to the field a year later. 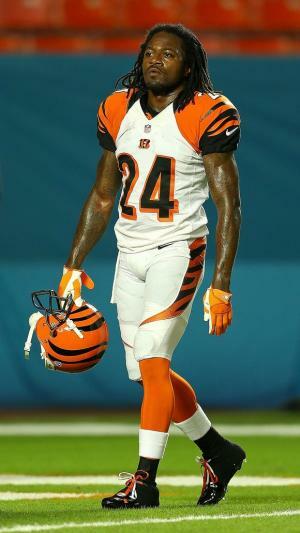 In the beginning of 2013, Jones signed a new three-year contract to stay with the Bengals. The following year, he scored a new personal best of 63 tackles and maintained an average of 31.3 yards. In 2015, Jones was summoned for his first Pro Bowl in the place of Patrick Peterson. Concerning his wrestling career, in 2007 Jones signed a contract lasting twelve months with Total Nonstop Action Wrestling, one of the most important wrestling federations. During his short career Jones managed to win the TNA World Tag Team Championship, but in October 2007 he announced his retirement. Finally, in the personal life of the professional football player, he has been married to Tisha Holmes since 2014, and they have one child. 4 Nicknamed "Pacman" as a child because he used to drink milk with the voraciousness of the Pac-Man video game character. 5 6th overall pick by the Tennessee Titans in the 2005 NFL Draft out of West Virginia.